You don't have to stock up on sports drinks and protein bars to power through a tough workout and refuel afterward. A lot of foods you have in your cupboard actually make great training fuel, and some of them are downright delicious. Read on for tasty foods and drinks that have been proven to help you go longer or faster—and get more out of your trip to the gym. Caffeine is known to give a boost to athletic performance, but caffeinated coffee in particular is a helpful source of energy for athletes, according to new research from the University of Georgia. 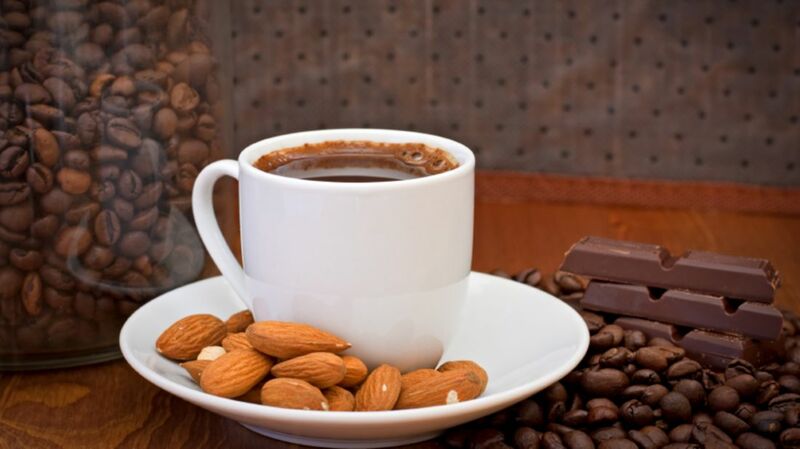 Reviewing nine previous studies about coffee and endurance, researchers found that consuming 3 to 7 milligrams of caffeine from coffee per kilogram of body weight improves endurance performance by an average of 24 percent. (To give an idea of how much that is, the amount of caffeine in a cup can range from 75 to 200 mg.) All the more reason to let yourself have a cup—or a few—of joe before you hit the gym. Got a sweet tooth? Good news for you: According to a new study from Kingston University in England, eating a couple squares of dark chocolate daily was shown to up recreational cyclists' endurance. Study participants who nibbled on dark chocolate also covered 17 percent more distance in a time trial than those who didn’t. Researchers think the candy aids performance by making your body use oxygen more efficiently.. Drinking some tart cherry juice every day can help you recover faster after a lengthy workout, according to a study in the Scandinavian Journal of Medicine and Science in Sports. Researchers found that amateur marathon runners who downed the juice for five days before and two days after a race showed less inflammation and bounced back faster afterward than those who didn’t. Eating almonds for four weeks helped cyclists pedal a longer distance in a timed trial during a study published in the Journal of the International Society of Sports Nutrition. The nuts’ fatty acids help contribute energy during endurance training, say the researchers. They suggest eating almonds on a regular basis, not just on the day you’re going out for a long run or ride, as it’s key to have a store of the fatty acids preloaded for muscles to pull from. The fruit is already a favorite of endurance athletes because it packs a mega dose of potassium. But they might provide a bigger training boost than runners, cyclists, and triathletes realized: Eating the fruit improves cyclists’ performance during a 75-kilometer ride as much as a sports drink does, according to recent research in PLOS One. Even better, say scientists, bananas have a healthier combination of sugars and provide athletes with antioxidants not found in sports drinks; they also have more fiber and vitamin B6 (which helps your body convert food to energy). Downing half a liter of this refreshing drink prior to exercise led to a lower recovery heart rate and less muscle soreness the next day, a recent study published in the Journal of Agricultural and Food Chemistry found. Researchers suggest that the fruit has an amino acid, L-citrulline, that has this muscle-repairing effect. Try sipping the juice an hour before you work out to get hydrated and avoid achiness later.